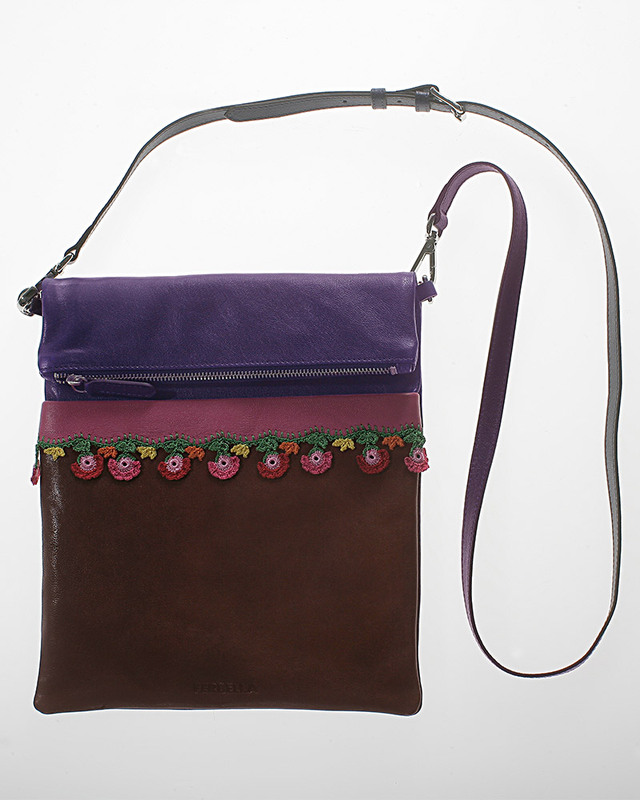 Made from beautifully supple two-tone sheepskin in a vintage style. 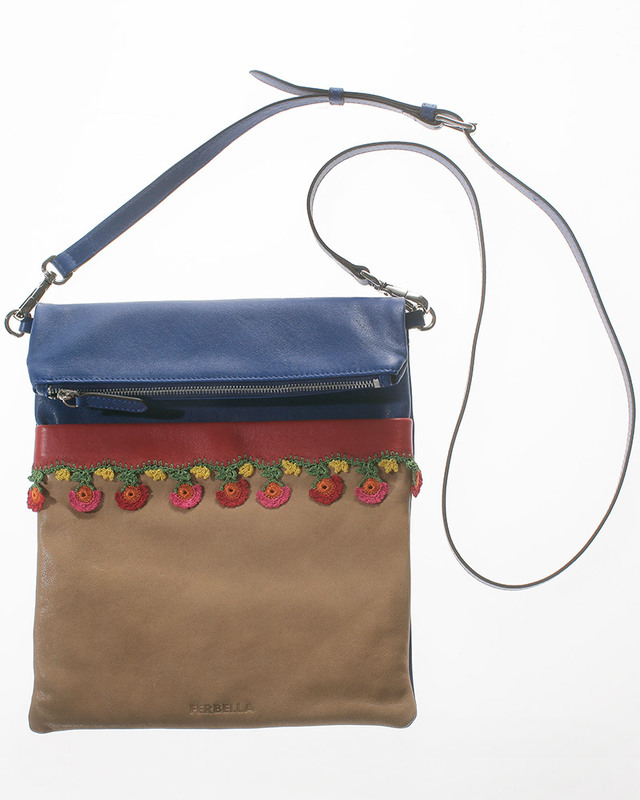 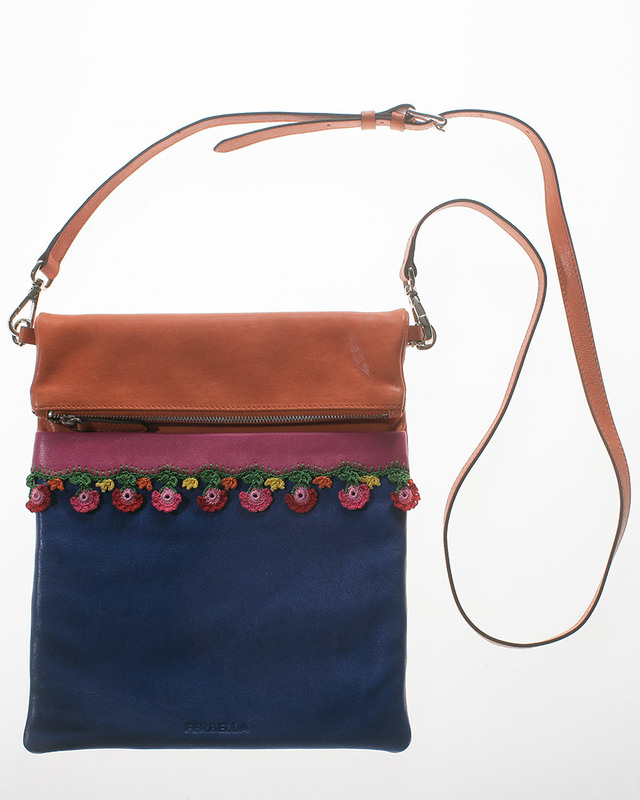 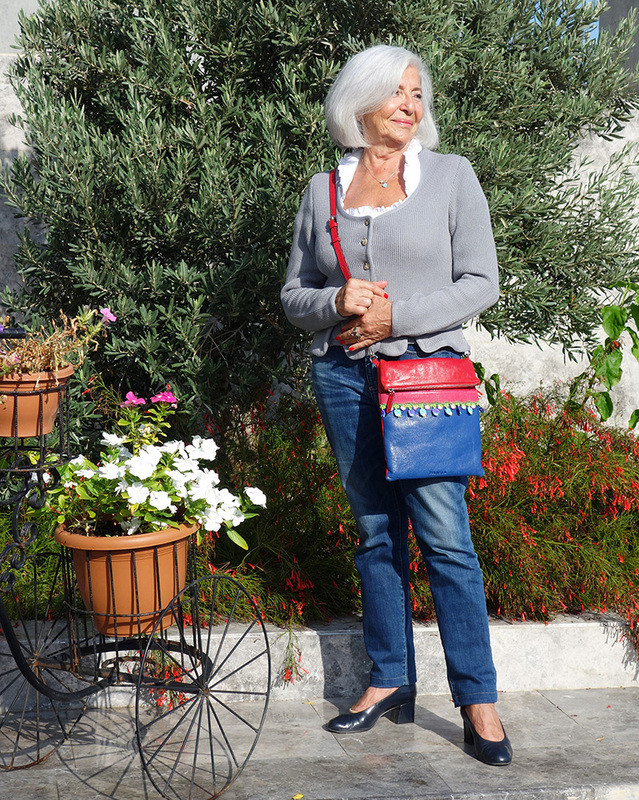 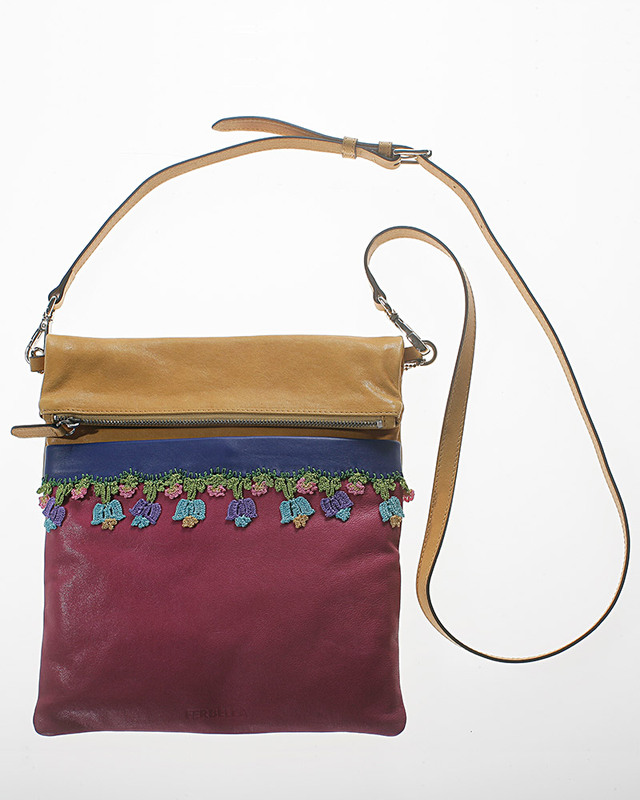 With this beautiful shoulder bag, the handbag collection of Isabella Scherbaum-Bakioglu was born! 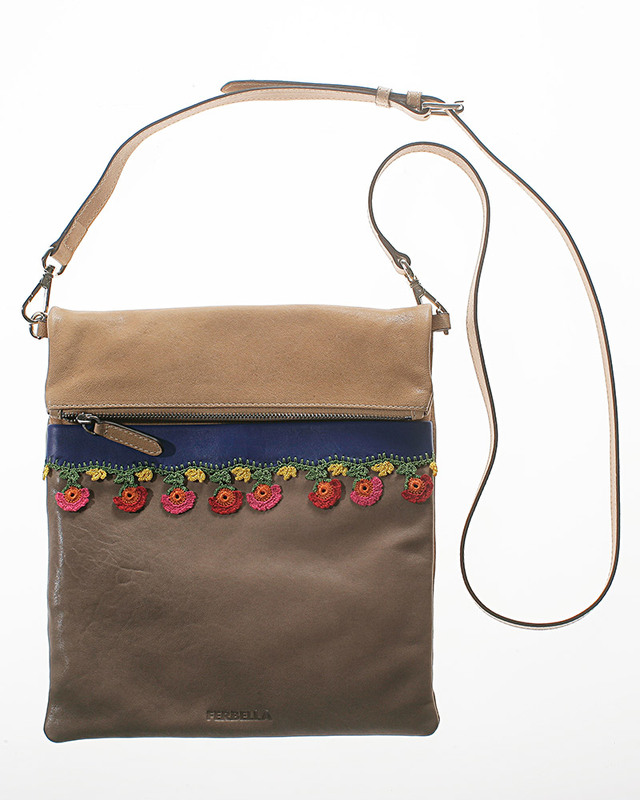 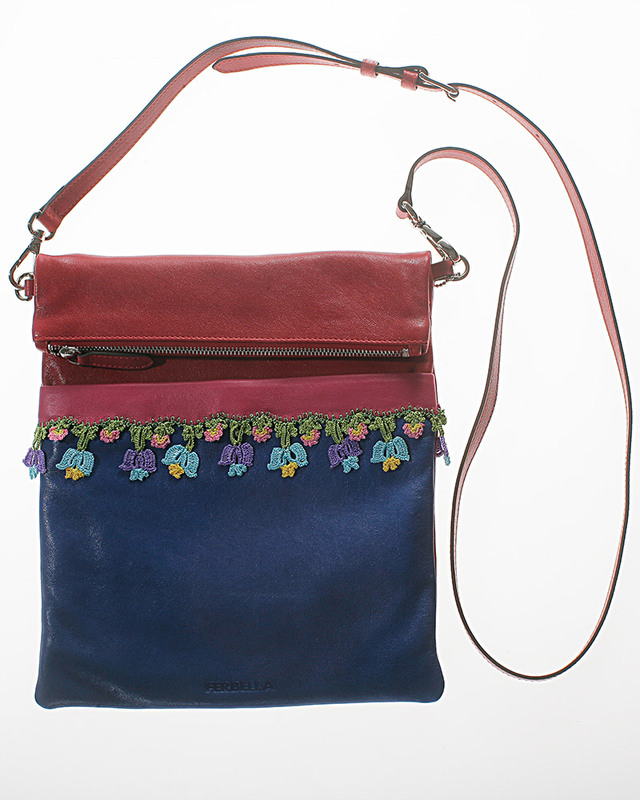 No two bags are alike -Turkish women hand crochet the tiny, colourful leas and flowers on to a leather trim. 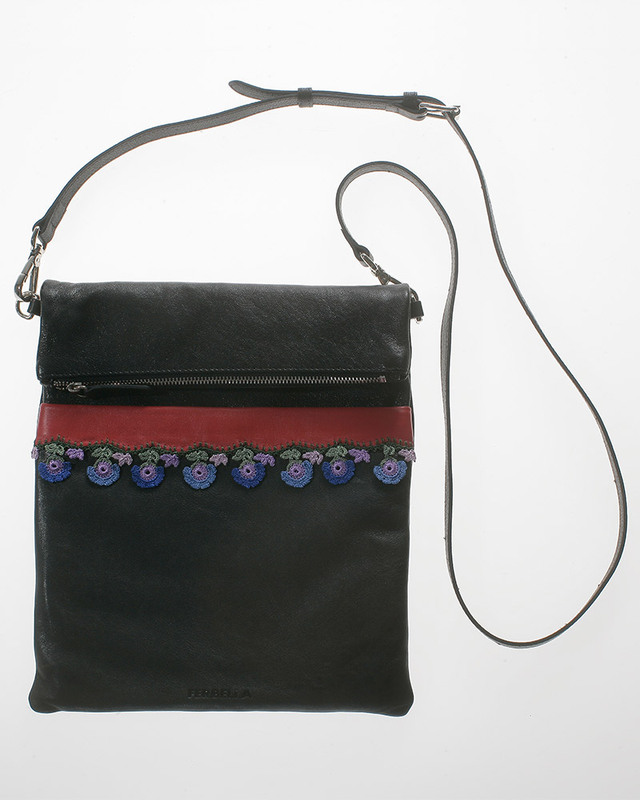 Each model is one of a kind. 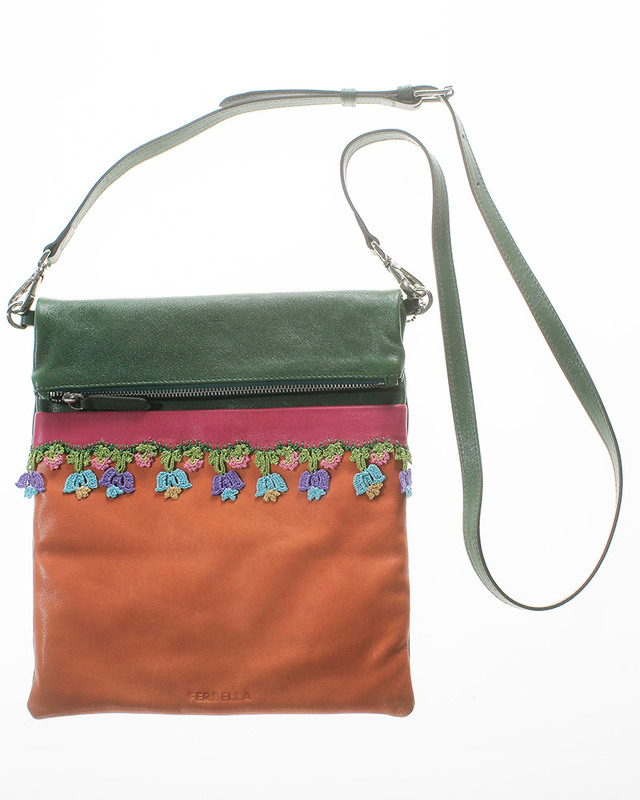 The cheerful, bright-coloured combinations will make it love at first sight.